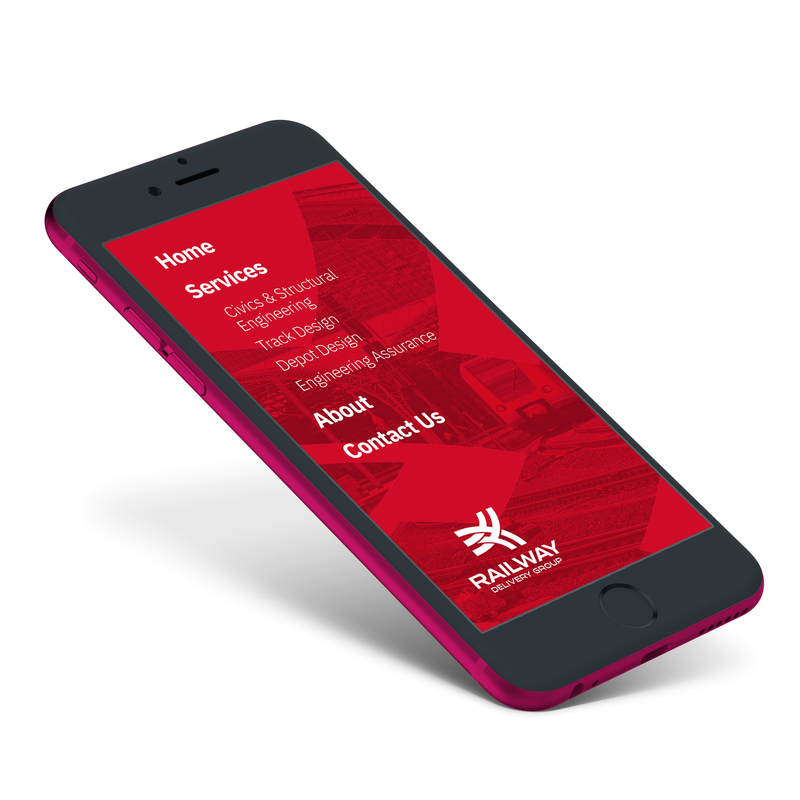 We focussed initially upon the three main selling points of the Railway Delivery Group service – experience, specialisms and ethos – via a trio of hero messages, each flowing into more information on that particular aspect and all leading to a strong call to action. This helps focus the customer journey through the site from initial query, through to the relevant service and finishing with a contact opportunity. 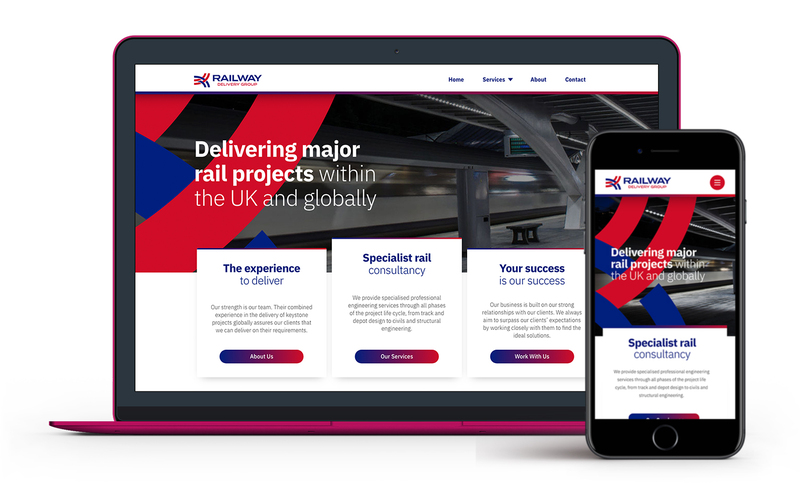 We made great use of the RDG colour scheme and logo assets throughout the site, aiming to constantly build brand awareness as well as create a sense of establishment in the eyes of the user – vital for a new brand. We also added contact opportunities at every step of the user journey to maximise potential enquiries. The services offered are in four distinct areas, so we chose strong photography to illustrate the main facet of each and dedicated a page to further information. 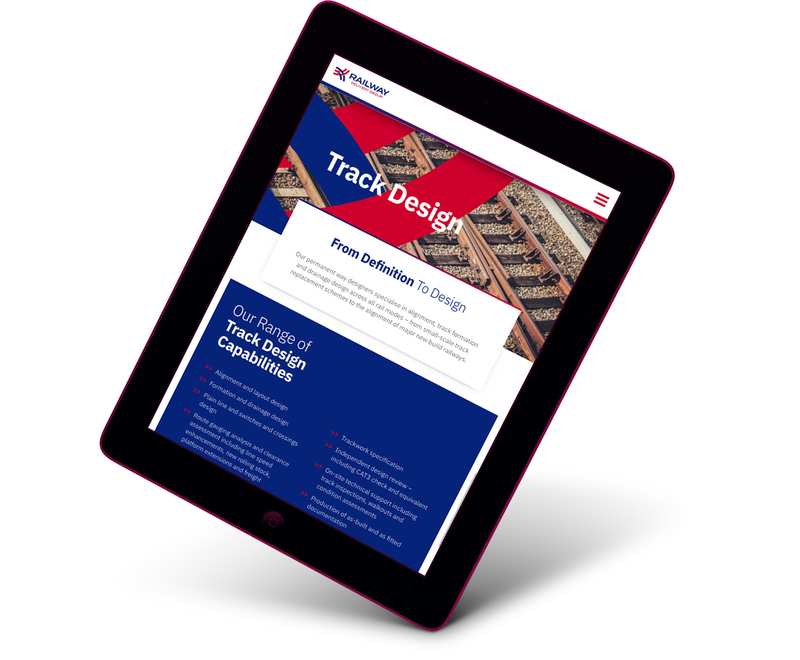 These pages will be updated with case studies, galleries and news articles as the business grows – the website was built with scaling up alongside the brand in mind.